Five years later, when Freddie went up to the great big glittery stadium in the sky, I felt, fresh at university and away from family and old school friends, weirdly bereft. So while I've never actually seen Queen live, I've long felt a kind of connection to them. Well, me and about two billion other people, as Bohemian Rhapsody, the long-awaited band biopic, so movingly proves. The film begins with Farouk/Freddie Bulsara (Papillon's Rami Malek) working as a baggage handler at Heathrow Airport, wearily suffering racist jibes from his colleagues as he piles up cases from foreign lands he can only dream of seeing. But Freddie's real life is in music, and when a college band he admires lose their lead singer, he sees his chance and takes it. The young aspiring star's astonishing vocal range and preposterously strutting stage presence soon escalate the band (consisting, of course, of curly-wigged guitarist Brian May (Gwilym Lee), fresh-faced drummer Roger Taylor (Ben Hardy, aka Peter from off of EastEnders) and unassuming bassist John Deacon (Joe Mazzello)) from student union bar regulars to record company hot property. The history of a meteoric rise to superstardom, a story that soars giddily from riotous excess (hinted at rather than hammered home) to hollow heartache and loneliness via monstrous ego battles, selfish mistakes and a great deal of quirky British humour, all clothed in gloriously OTT velvet, leather and spandex and bewigged with increasingly bonkers barnets. Okay, so there are a few actors doing impressions here rather than acting ('Bob Geldof' is particularly comical) but thankfully Rami Malek isn't one of them. His Freddie is wonderfully observed, a sensitive and serious portrait of a complicated, multi-faceted and often unhappy genius. I'm excited to see what this versatile actor does next. 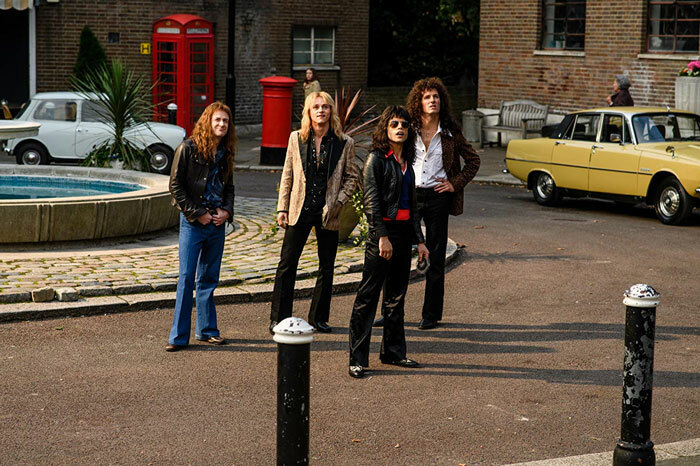 At times I wanted the film to fly a little higher, to be a bit more Velvet Goldmine and a bit less BBC4 documentary, particularly when the band are recording their audacious masterpiece 'Bohemian Rhapsody' in a rural studio in the middle of nowhere. (Freddie scribbles down some lyrics. 'Hmm, that's good,' he says.) 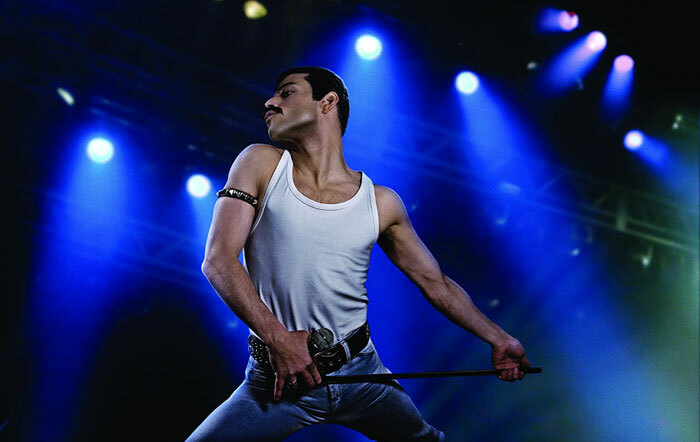 But as the film reaches its climax you realise there's no need for made-up magic realism in this movie – Freddie and the band themselves have all the magic required.